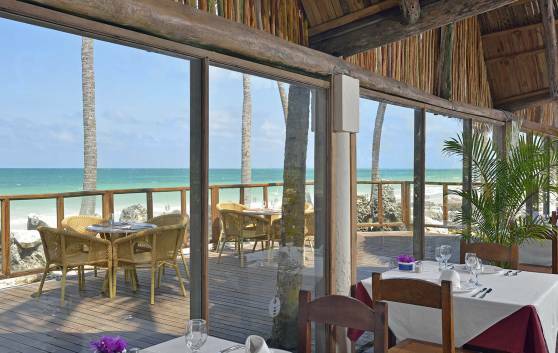 Very popular among those who prefer a romantic dinner for two after a long day in the hot sun! International specialties prepared by expert hands will ensure the success of your evening, accompanied by nostalgic piano music. Dress code in force. Without leaving the beach for a moment, drinks and liqueurs are within a hand’s reach. 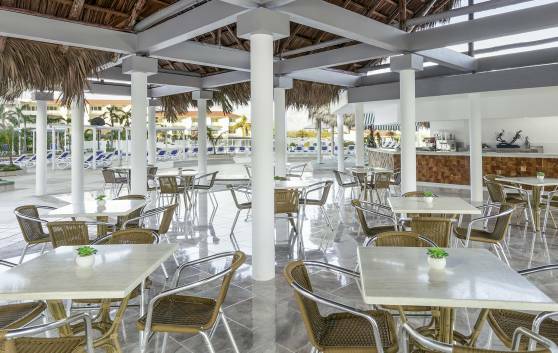 A meeting point of thirsty swimmers and those who prefer to lift their mood with these concoctions within sight of the beautiful sea in Cayo Coco. Particularly recommended for a lobster dinner. From 2 pm to 7 pm, no alcoholic drinks are served; only soft drinks. In Renovation process. Alternative gastronomic services are offered. 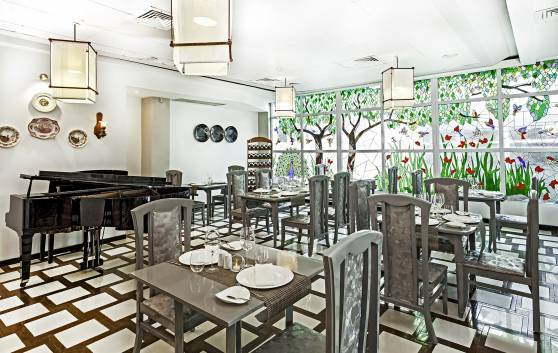 The vivid colours of the tropics and the exquisite flavours attained through the chef’s creativity make meals in this buffet restaurant, which offers breakfast through dinner service, extremely pleasant. 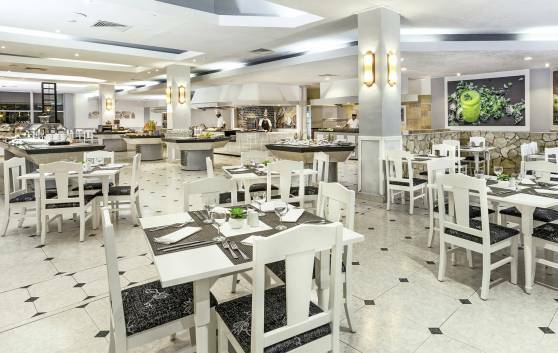 It has a large, air-conditioned dining room and outdoor terraces with views of the gardens and the hotel’s swimming pool. The perfect way to end a mellow Caribbean evening! 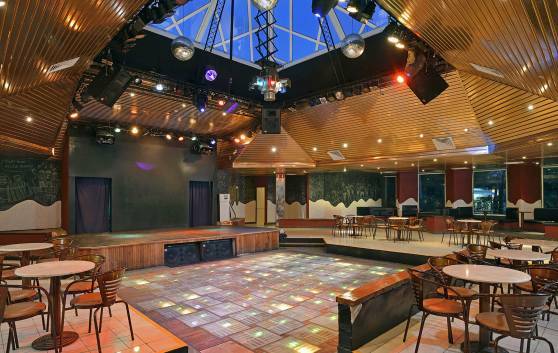 A place of encounter those who love to dance to the beat of the catchy Latin music after a long day in sun. 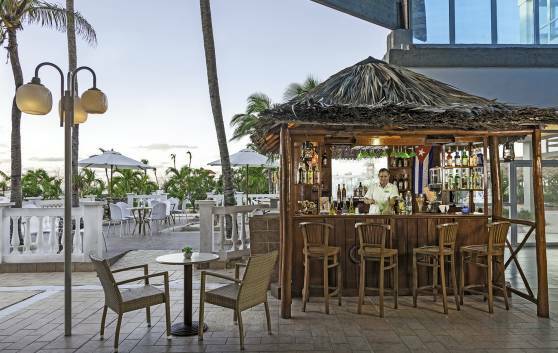 Our disco offers a wide array of international cocktails, Cuban rum and live music. Bar specialized in the most famous Cuban cocktails: mojito, Cuba libre, daiquiri, among others. Alcoholic beverages are not served from 02:00 to 07:00 hours, only soft drinks. 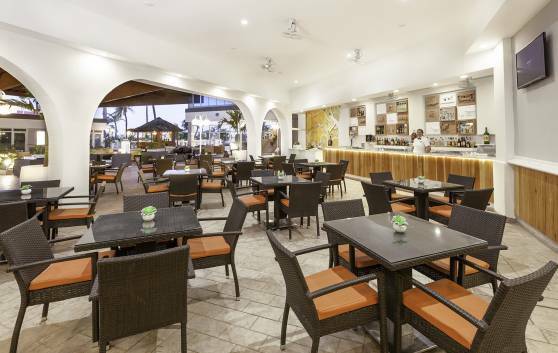 Guests can enjoy comfort, beautiful decoration and natural surrounding at La Veranda lobby bar, possibly the place that serves the best cocktails on the key. Perfect for enjoying delicious aperitifs, cocktails and light snacks as they wait or chill out. Alcoholic beverages are not served from 02:00 to 07:00 hours, only soft drinks. Bar for savoring our delicious cocktails and soft drinks, while enjoying the beach or engaging and water sports. 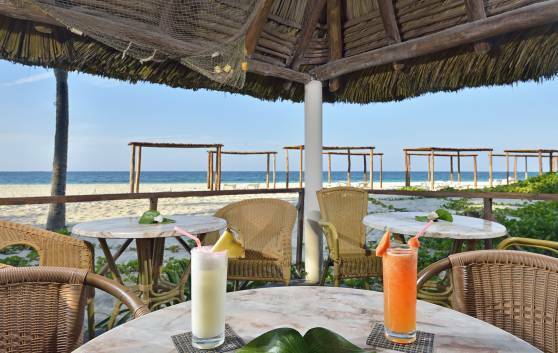 To counter the effects of the severe tropical sun, nothing can beat a cold, refreshing drink served just a few metres from the turquoise sea. 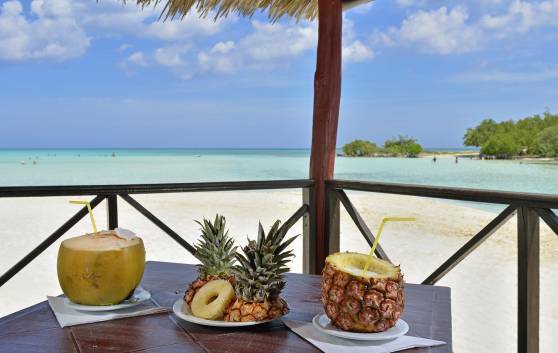 Mojitos, piña coladas, juices... and all the appeal of Playa Larga. From 2 pm to 7 pm, no alcoholic drinks are sold; only soft drinks. At the swimming pool some people sun themselves, others read, some nap in the shade of the coconut trees while other enjoy the coolness of the water. All of them have snacks, drinks and liqueurs just a few steps away, in addition to a fast food menu which includes pizzas, hot dogs and hamburgers. Of course, there are also refreshing Cuban cocktails to make your experience under the sun more pleasant.